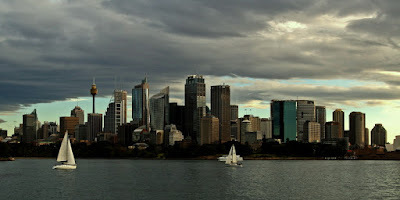 Here's a picture of the Sydney CBD. This was taken on the way back from the whale watching cruise. The Opera House is off to the right...you can see a little bit of it. There were a lot of sail boats out that day. They were all over the harbour...great day for sailing.